Last night there was a great webinar on developing speaking skills by Adrian Doff. Adrian analyzed what language students need for fluency, shared some materials (conversation snippets) that exemplify that language and suggested a number of teaching activities to help students master it. I teach English in a non-English speaking environment and fluency has been a major issue for a lot of my students, so developing fluency is one of the areas that I’m very interested in. I even picked this area as a focus for one of my Delta Module 2 lessons and wrote a series of posts about my attempts to work on fluency in class. So all in all, this was a very interesting topic for me – and an extremely interesting webinar. I liked Adrian’s ideas a lot (some reinforced what I’ve already been doing in class, and others were very fresh but at the same time simple and intuitive), and I’m going to bring a lot of what he shared to class. Below is a summary of the webinar – the recording will be available on CUP blog here: http://www.cambridge.org/elt/blog/ The summary turned out quite long – mostly because the ideas are very valuable and I want to have a detailed record to refer to when planning fluency activities. The main question that Adrian was addressing: How can we improve speaking skills? ‘Fluency activities’ do help, but how to do that in a more focused way? Question for the audience: What language (grammar, vocabulary, expressions) might you need to invite someone to your home? What language would the other person need to respond effectively? Obviously, functional expressions (e.g. Would you like to come round for lunch? / Thanks, I’d love to. How do I get to your house? / Take the train…), but a typical coursebook dialogues exemplifying those functional expressions might not quite sound like a real, natural conversation – it’s a bit robotic (does the job but it doesn’t really flow). A: Would you like to come round for lunch? A: Oh, by the way..
A: I was meaning to ask you – would you like to come round for lunch? B: Thanks, I’d love to. How do I get to your house? B: Oh.. Oh yes, thanks. I’d love to. Are you sure? It’s very nice of you. B: OK, great – How do I get to your house? A: Take the train to Park Street. Go out of the station and turn left. It’s Queen Street, number 10. A: Well, let me see.. Take the number 15 bus to Park Street then you..
B: OK, the number 50 bus. A: No, not 15 – 50. B: Good. B: Oh right. A: I’ll see you at 6. 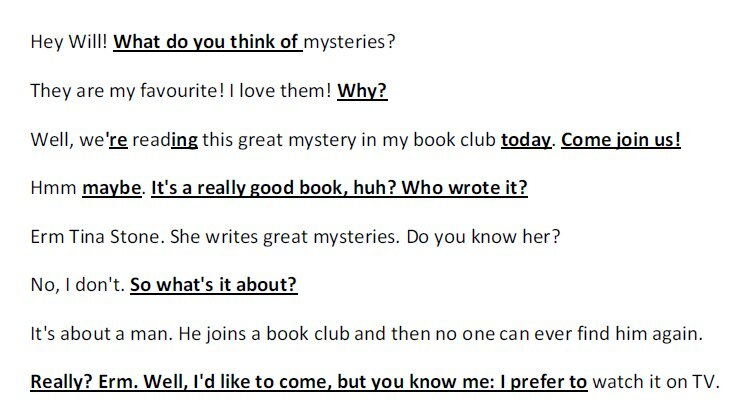 We see that what’s missing from a coursebook dialogue is Speaking strategies that ‘oil the wheels’ of the conversation (in this particular case, expressions for introducing a topic / responding positively / giving yourself time to think / clarifying / correcting). So you press this button – OK? Well, anyway.. (Strategy: changing the topic / going back to the original topic / a way of closing the conversation in a polite way: Well, anyway, I must be heading on). At advanced levels, s/s will need more advanced expressions. through prediction: play a dialogue line by line and get s/s to guess what is going to be said next (e.g for a phone conversation); play around with with what the possibilities are – great for turn-taking expressions and adjacency pairs (Here you are / Thank you; How are you? / Fine). 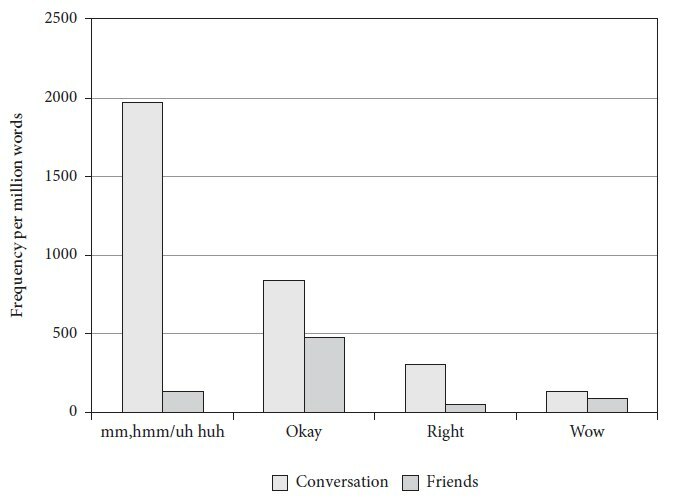 When it comes to freer activity, in the heat of communication learners are quite likely to forget to use the new expressions. So what are some possible ways to make them stick? How to introduce preparation for fluency activities? In foreign language it’s extremely difficult to think and speak at the same time. Example: let’s say we have a discussion activity: ‘How important it is to have privacy?’ If we just ask students to talk about this, this might run dry: some people won’t have any ideas / some people will be shy etc. The answer: allow students preparation time. How? Hand out a cline: How important is privacy to you? Mark your place on the line. 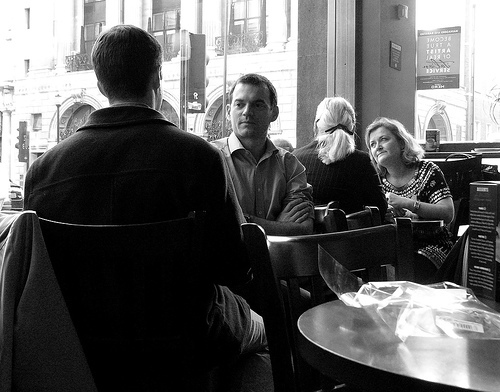 Now sit with other students; show them where you put yourself on the line and why. This activity is a lot more likely to work because the students have had the chance to think. Where is it? Why is it in this place? What is it used for? Now imagine you get into the house: what’s in the house? How many rooms are there? What objects are there? Is this a beautiful house or not a nice place to be? Just get a mental image. Now turn to your partner and exchange what you’ve imagined. What I especially liked about Adrian Doff’s ideas is that they’re little tweaks or short activities that could be easily used with existing material (or as short warmers) on a regular basis. In my experience it’s such little tweaks (e.g. pronunciation slots/ways to re-phrase instructions/etc) – and self-discipline on my part to apply them consistently – that make the most difference to my teaching. Thanks a lot to the presenter and to Cambridge University Press for organizing the webinar! Update. Thanks for stopping by! 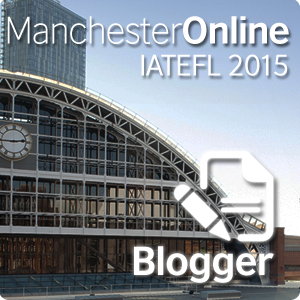 I was delighted to hear that this post has been shortlisted for TeachingEnglish blog award! 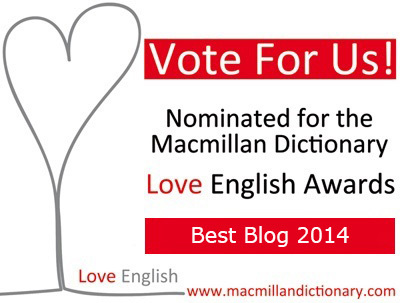 =) If you like it, you can vote for it on Teaching English – British Council Facebook page. [pronunciation] The teacher models & drills the natural pronunciation of the expressions; students practice pronunciation in pairs, challenging each other to pronounce expressions as fast and naturally as they can; a fun variation is to challenge the students to say each expression on their map twice in under 60-120 seconds – the goal here is to encourage the students to pronounce fixed chunks of language fluently. They do it again for homework and, finally, again in a later class. [source] Use complete dialogues. It sounds tempting to organize all functional expressions used in a particular situation into a mind map, but in my experience unless there’s a text to organize the map, it becomes impossible to remember and reproduce. The only thing I add is alternative answers (E.g. ways to say ‘yes’ if the person in the dialogue said ‘no’). [personal experience] Try the procedure out on your own before the lesson. 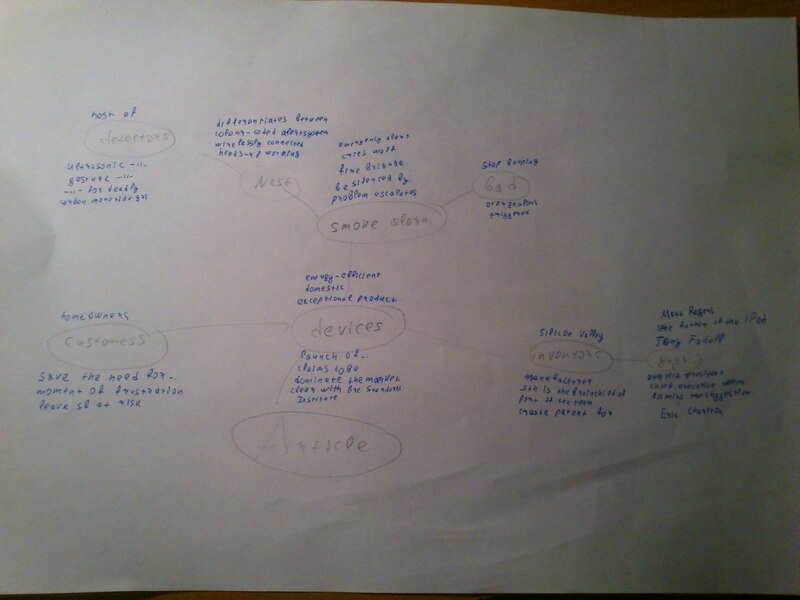 [preparation] Mind-map the coursebook dialogue before the lesson. Choose gist questions to direct the students towards the structure you’ve chosen. [personalizing] For some topics, to personalize the improvisation stage, ask the students to think about their favourite item of clothing/dish/place so that they buy a replacement for that item/order that dish/book a ticket to that place. [fueling imagination] Use picture prompts for the improvisation stage: project a picture of a person in a difficult situation and ask the students to buy/order/book something for that person. Compassion is very memorable! [revision] Insist on revision. 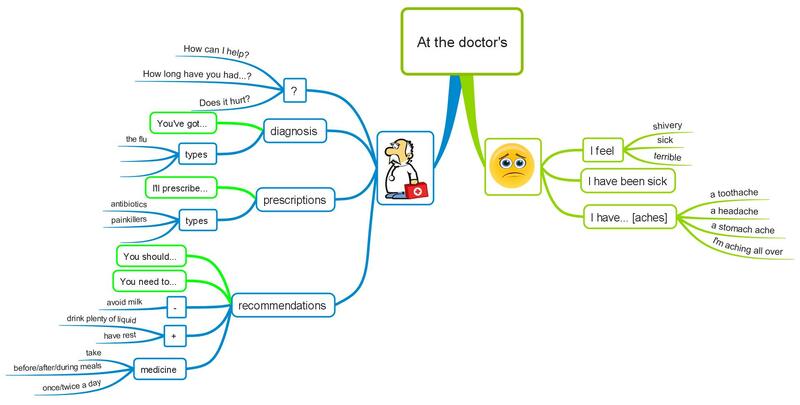 Take a photo of a good mind map and upload it to the class blog. 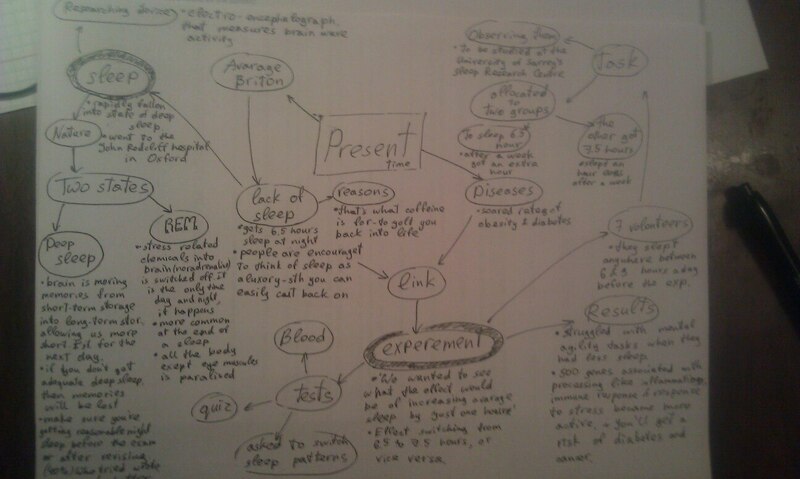 Tell the students that you’re going to ask them to reproduce the mind map from memory at the beginning of a next class. In my experience, when these two ingredients are in place (there’s a course blog/file where the learners know they can find the language dealt with in class and there’s a test, even a short and informal one, coming up), this does encourage at least around 60% both teenage students and adult Business English learners to revise. I like this activity more than the more traditional sequence suggested in some coursebooks, in which learners just read the dialogue a few times substituting individual items and then act out their own dialogue using functional expressions given on the page, because when they mind map, it gets much less mechanical (as they are forced to think about the structure of the dialogue and process the functional language deeply), it challenges them and strains their memory and helps them to memorize the expressions much better, as well as giving them the confidence that they do remember them – having tested themselves a number of times. I’ve noticed that when the students improvise, they use the expressions that they put on their maps quite confidently and fluently, but if they choose not to write something down deeming it ‘obvious’, they might have problems with that language.Here are a few examples of mind maps my group has produced and used. Example 1. 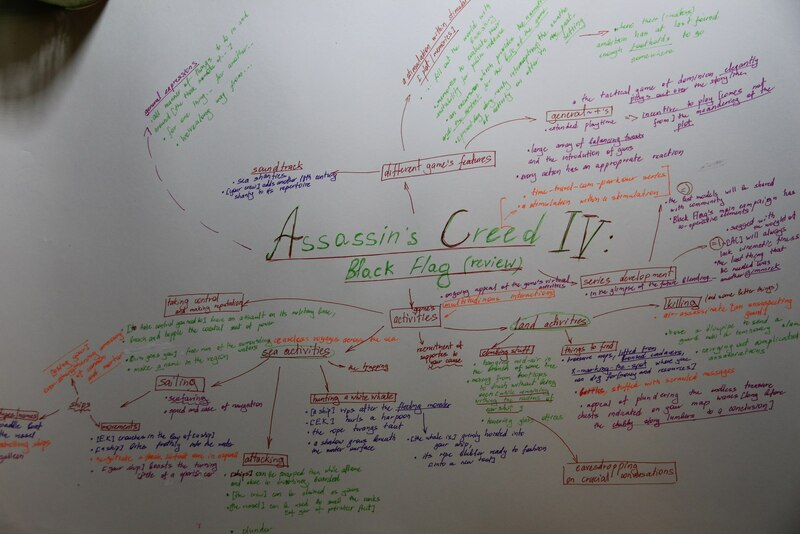 This was the very first mind map we tried. It was at the very start of the course and the students really struggled with this one. A few months later – the students coped much better with this one although it’s pretty huge! Update 07/05/2014 Since writing this post, I’ve been experimenting with this technique more, trying it with my Business English groups. Here’s a 45-minute lesson for an A2+ group focusing on talking about advantages and disadvantages. Discussing advantages and disadvantages: teacher’s notes. Discussing advantages and disadvantages: the worksheet. I think I’ll use the same approach with my IELTS students, giving the students ‘narrow’ practice in the same type of question, e.g. pros and cons, comparing the past and the present, talking about differences between A and B and so on. Another one in a series of fluency-related posts – more links here: contents. One of the most widely known classroom activities that target fluency is Paul Nation’s 4-3-2 technique: students tell the same story (or do the same task) under progressively stricter time constraints. The idea is that students are pushed to perform faster and are forced to restructure the ‘routines’ they use, and so the ‘formulation’ phase of speech production speeds up. With my B1-C2 level students I use a slightly more complex procedure. Students find interesting articles online in order to share them in class, but instead of just reading and retelling them them to their classmates using more or less what linguistic resources they currently have, they actively mine text for collocations. This tweak to the activity seems to tie in nicely with a lot of insight into fluency described in the previous post. A variation of this technique which I think really does help to teach functional language at lower levels/to students preparing for exams such as IELTS is described here. The full version involves some homework on the part of the students and takes around 80/90 minutes of classroom time, although there are some shorter alternatives that do not require homework. They mine the text for sets of related expressions (big thanks for this technique to Mark Rooney and Ewan Dinwiddie, in whose Delta Module 2 lessons I first saw it) and organize these expressions into a mindmap. For example, in this online article on education, one predictably finds lots of expressions connected to studying (e.g. ‘grant you a college degree’, ‘take a year-long course’ and ‘broaden your knowledge’) and the internet (e.g. ‘without ever leaving your computer’, ‘bring free education to the masses via the internet’ and ‘available under open licences’), but on closer look lots of other related sets emerge, e.g. ‘quality’ (‘top-notch education’, ‘featured courses’, ‘which few you might want to steer clear of’), ‘quantity (‘it can get quite overwhelming’, ‘over 22 universities in the US alone’, ‘courses on tons of subjects’) and so on. For this activity students are normally seated in two circles facing each other (so at each stage those sitting in the inner circle move to the next partner). By the end of the activity those students who sit in the same circle haven’t heard each other’s stories, so they can pair up with someone from the other circle and share what they’ve heard/what they liked the most or found the most surprising (this normally takes another 10 minutes or so). 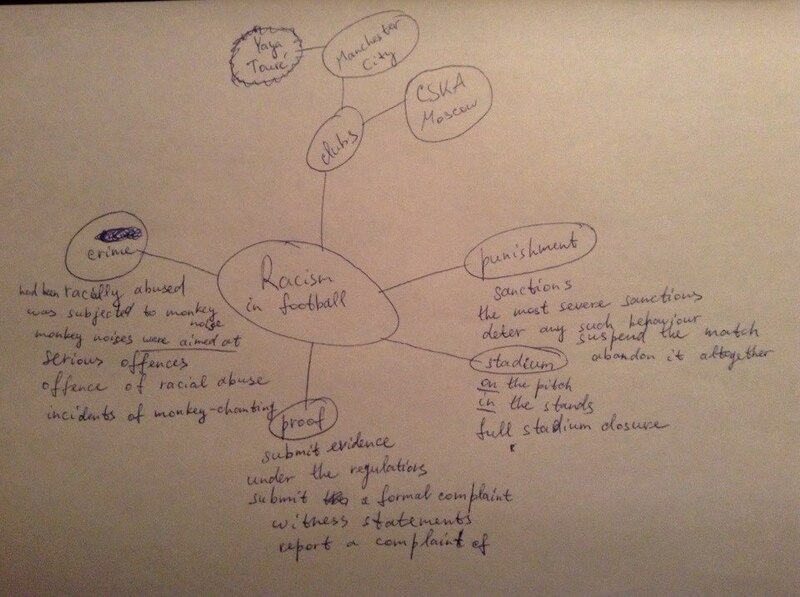 Here are a few mindmaps produced by my students. What I’ve been noticing is that over time students start producing much better quality maps in terms of expressions they notice. [a shorter version] start with shorter texts or integrate this with jigsaw reading (lists of places to go to/things to do/films to see etc lend themselves to this, e.g. in a recent class, my B1 students read one tip each from 10 Things to Do in New York City, shared these tips mindmapping between changing the partners and in the end decided which of those they’d like to do the most). [introducing the activity: a lesson plan] try the whole procedure out in class, training the students in sub-steps: first introduce the idea that texts contain sets of related expressions and give them practice in identifying these; then give them practice creating mindmaps; then run the whole activity (mining the text for expressions + minmapping + recreating the mindmap + retelling the text) on the same text together – I’ve used coursebooks texts and also the first two paragraphs in this text, which was more than enough material for a ninety-minute class of B2 students. [collocations – NOT unknown vocabulary] This activity works great with collocations, but only as long as they don’t contain completely unknown words. If they do, I’d suggest using the keyword technique to learn them first. In the next post I describe how I use this activity with lower levels to help them with functional language used in social encounters. Nation, P. Learning Vocabulary in Lexical Sets: Dangers and Guidelines – Learning vocabulary in lexical sets (e.g. ‘apple, pear, plum’) is counter-productive, learning thematically related words (e.g. ‘frog, pond, green, slimy, hop, croak’) produces the best results. This is the second post in a series of posts on fluency: it’s about key insights from literature into what factors contribute to (or detract from) fluency; I illustrate most points on a number of real life examples that I used with my students in awareness raising tasks. 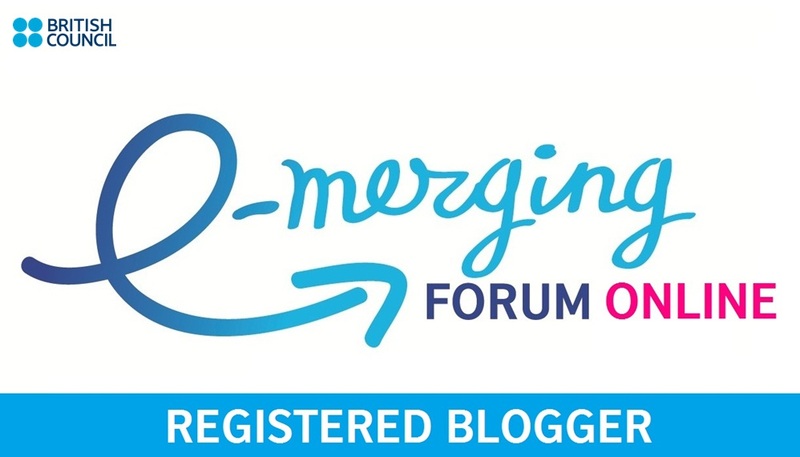 I wrote about what motivated me to start ‘digging’ in the first post here – I’ll also add there the links to the remaining (more practical) posts when they appear. Fluency: what are we talking about? Fluency is ‘the [person’s] capacity to produce language in real time without undue pausing or hesitation.’ (Skehan, 1996, cited in Thornbury, 2000). It can actually be objectively measured with a number of variables, such as speech rate (the number of syllables per second – including pause time) and the mean ‘length of run’ (the number of syllables between pauses). However, there’s also perceived fluency (that is, whether the listener considers the speaker to be fluent), which is of course subjective and much less clear-cut, but nevertheless there has been some research into what features of speech influence the listener’s perception of fluency. There’s also another important aspect of speech, suggested by Michael McCarthy, who calls it ‘confluence’. Confluence concerns the way the speaker maintains (or fails to maintain) the flow of conversation, linking what they say to what the previous speaker said. 2. Formulation (micro-planning at the level of an utterance) Retrieving vocabulary and grammaring it up. 4. Monitoring. Checking that what you said conveys what you meant, with a reasonable degree of precision, and repairing the utterance if need be. There are two fundamentally different ‘resources’ that we draw upon to carry out the stages outlined above. We draw on our knowledge (e.g. the knowledge of the way conversation is structured in L2 culture, or the knowledge of lexical items) and automatic routines(which include ‘grammaring’ the lexis up and using our speech organs to pronounce the sounds). We draw upon different types of memory, located in different parts of the brain (called ‘explicit’ and ‘implicit’ memory) and employ fundamentally different processing (‘explicit’ and ‘implicit’ processing). This distinction is important because it provides insight into the limitations of the human brain that are directly related to fluency. By way of a grossly oversimplified summary, in order to formulate an utterance, we use working memory for planning as well as storing lexis; we can only store ~7 items retrieved from explicit memory in the working memory at a time, while grammatical processing does not take up working memory unless one consciously recalls and applies a rule. The distinction is also important because explicit and implicit processing is developed/automatised in different ways, and thus they call for different treatment in class (see this book for a fascinating summary of recent research; there’s more on explicit and implicit memory/processing in the books referenced in this post). …knows about the socio-cultural conventions for how conversations and monologues of different types are structured, e.g. uses scripts and the structure of genres. For instance, when we walk into a restaurant, we know what we’re likely to say/what the waiter is likely to say and in what order this will be said – and this might be different in different cultures. In Russia we do not make small talk while buying groceries, so a Russian English language learner might be startled and might fail to respond altogether, let alone fluently, to an amiable English groceries seller. Implications for learners & teaching I haven’t learnt much on macro-planning yet, but clearly it’s useful to raise learners’ awareness of genre structures and give them a chance to refer to the structure as during planning stages of speaking activities.I also recently came across this presentation by Barry Tomalin: What do you say after “Hello”? Successful networking techniques. His ideas sound absolutely brilliant, I really want to try his framework with students to add some ‘meat’ to classes on ‘socializing’, but haven’t yet. Winfrey: So, didn’t you know? Winfrey: Subconsciously, that knew? Yes. Winfrey: Philosopher’s Stone + which became Sorcerer’s Stone. Rowling: And [that is] + exactly what it was. Planning. 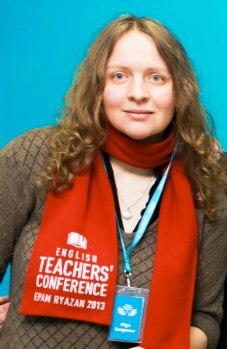 I believe that one important step is for students to become tolerant of spoken grammar and, instead of trying to produce syntactically complex structures characteristic of written language, analyze real speech for typical patterns of reasoning/’frameworks’ and practice using these simple frameworks to structure their own short utterances. For example, when practicing discussions/decision making, a typical argument might be broken down into ‘suggestion + reinforcement (state why suggestion is advantageous) + summary, e.g. I suggest you + (use skype) // which will (save you a lot of money) /make it (easier) (for you) to //so you’ll be able to…).When I was teaching IELTS students, it helped a lot to categorize the typical questions asked in the spoken part of the exam, provide students with a framework for each questions type and train them extensively in using this framework. Below is an example of materials I was using (adapted from Clark (2007)). It felt a bit like cheating at the time, but now I think that this might have mirrored the way skilled speakers micro-plan their utterances, as it allowed the students to plan at the level of a clause, moving ‘from column to column’ concentrating on producing one or two clauses at a time. Well I suppose there are a number of actions that could be taken. Well, I personally believe that there are [two] possible ways to tackle/address these problems. This would have a (profound) effect on Another solution would be to..
• also, their estimate was that they understood around 90% of these expressions and used around 10%. to give a speech on T.V. Grammar It’s been suggested that in order to achieve automatization, students need to speak under time pressure, as only then are they forced to ‘restructure’ the procedures they currently employ by ‘assembling’ them into larger units. I try to use this insight by regularly giving the students the chance to repeat tasks under tighter time constraints, but one most important lesson I’ve learnt here is that it’s important to take students on board – that is, make them aware of the rationale behind the activity, as otherwise they don’t see the point in making that extra effort, cutting corners and meeting the tighter constraints simply by omitting part of the message. Implications for learners & teaching(a) Learners need awareness raising activities in which they identify prominent syllables and practice highlighting prominent words in while engaging in a communicative task; I think that, as it often said about pronunciation activities, the best approach here is ‘little and often’. (b) I notice that my students often make in-clause pauses when they are searching for vocabulary; what they do is produce the ‘grammatical part of the clause’, which, having been drilled repeatedly, is the ‘easy’ bit, and then drag out the final function word while formulating the rest of the clause (e.g. /I have tooo [pause] get up early/). So far I haven’t come up with any ways to address this (at least practicing the correct pronunciation of the structure doesn’t produce any visible effect, as the students revert to unnatural pronunciation as soon as they concentrate on the message). Cauldwell(2013:315) lists another list of clusters of 3 and more words commonly squeezed together. > I think it’s also paramount that students are made aware of the effect non-fluent pronunciation of chunks produces on the listener’s perception (at least if they do aim to sound fluent), and are consistently encouraged to practice fluent pronunciation whenever they study functional language and formulaic expressions, either in class or on their own – at least my students normally try to shirk at this point of the lesson because they feel extremely self-conscious; in my experience, rationalizing the need for pronunciation work does help> Adrian Underhill repeatedly makes the point of the need for placing a physical demand on top or the cognitive demand and challenging students to pronounce what they say with maximum fluency and connectedness possible (e.g. Underhill, 2013:215) and for me the way he demonstrates this is an inexhaustible source of inspiration. What do a fluent speakers do? • use spoken structures that are characteristic of spoken language and that mirror the way attention shifts e.g. those olives, how much are they? (the topic is identified first, then the question is added – cf how much are those olives? ); my brother, his wife (cf ‘my brother’s wife) they are nice, those olives (the sentence starts out with the speaker’s perspective, and then gets ‘clarified’ to include the listener). In the interview extract above, JK Rowling freely starts a sentence and then changes it mid-way: I remember once + and it was like + it was like + well, like + I’m going to call it clash + a flash of clairvoyance now. Language learners, on the other hand, often feel that they have to speak in full, ‘correct’ sentences and attribute their failure to do this not to natural limitations of the human brain, but to their own lack of proficiency – in short, very often they have unrealistic expectations of what they are to produce. For me as a non-native speaker insight into monitoring was the most revealing. I realized that I, in contrast to Levelt’s speech model, was vehemently trying to monitor utterances before uttering them, because I was never sure would be able to finish the sentence I’d started – a fear that, I suspect, was well-grounded, as my speech was lacking all the features of spoken language outlined above. Again, the interview with JK Rowling mentioned above is a striking example of that – here’s a random sample. I asked students to underline look at the starts of turns and compare that to a transcript of A2 students speaking (I couldn’t produce a transcript of the students themselves due to time constraints, but it would’ve been better: record them doing a task, ask them to analyze turn beginnings in the interview, then listen to their recording to see what features are present. Winfrey: Are you in a place now where you can accept that you will always be rich?Rowling: No. Are you?Winfrey: Kind of. Getting there.Rowling: Really? I hope – I hope I – that sounds good.Winfrey: Unless I’m a complete fool.Rowling: But that’s it! Unless I’m a fool! And you know what? I’ve never been a fool with money so why worry? But I do. I think ‘God, if I blew this, how could I look everyone in the face?’Winfrey: But, you know psychologically it’s a difficult thing to come to terms with because it’s like saying – not allowing room for never say never.Rowling: Exactly.Winfrey: You know?Rowling: Exactly. And you feel – I feel – I don’t want to get complacent.Winfrey: Right. Rowling: I don’t want to take things for granted. Rowling: I just – I just – and after all. Well, you do know what, I’m talking absolutely rubbish, aren’t I? I’m talking rubbish. I mean really would have to be very stupid but, yeah, I do still worry. Rowling: Yeah. Not all the time. I mean mostly I feel great. Winfrey: What do you actually think money has done for you? What does it do? Rowling: It frees you. That’s what it does. It frees you. That’s why it’s like a super power. You don’t – it frees you. I mean we don’t have to – the luxury of literally being able to sit down and say “where should we go for a holiday?” and not be, in any way, limited. Winfrey: I hear you don’t drive. Rowling: No, I don’t drive. No. Cars terrify me. I am really frightened of cars. Winfrey: So do you have a driver? Rowling: I – of – lately I have had a driver. Very lately. Winfrey: Is it true that you still take the bus? I read that you still take the bus. Rowling: Occasionally. Within the last year I have taken the bus. Definitely, yeah. Winfrey: Did you ever imagine your life being the way it is now? Rowling: No. Never. And I really, really mean never. It overshot the mark so ridiculously that I – I was so unprepared for it. This is a thing I think I’ve never really spoken about. I was a writer. I had no one near me professionally or personally who could in any way help me when I had questions like “what do you do when the press is searching your bins?” You know? Winfrey: But that doesn’t happen to most writers, you know? Rowling: Exactly. Exactly. So it took everyone around me totally by surprise. Winfrey: It’s not like if you’re an actress you could have expected that. Rowling: Of course! Of course. You know that if I’m wildly successful that stuff will happen. I’m not going to like it but that will happen. But as a writer there’s no way of thinking “if I’m wildly successful they will want long-lens photographs of me on the beach in my bikini. Never occurred to me in a million years. Winfrey: So you weren’t prepared for it. Rowling: Totally unprepared. And really running scared for a while. Again, based on my conversations with B2 learners, it is evident that they have skewed perception of this feature of speech: they felt that fluency markers are ‘rubbish words’/signs of inferior speakers; that adverbs like ‘absolutely’ and ‘exactly’ are too expressive; I personally also feel that we non-native speakers might be feeling the need to prove our linguistic ability by saying something new/driving the conversation forward. My point in that conversation was that if you don’t use those ‘small’ words, your speech does not sound ‘clean’ – it sounds non-native. An observations that I’ve made since I learnt about confluence is that I myself completely fail to notice these features, as well as expressions like ‘you know’ and ‘do you know what I mean’, unless I’m paying conscious attention. So reading the transcript of the interview with Rowling (or, more specifically, reading only the starts of turns) was incredibly revealing – even though I’d seen the interview, which suggests the need for explicit conscious raising activities.Another interesting fact is that film English is bad for exploring these features: at least in Friends, a well-known sitcom, these features are drastically underrepresented. Personal conclusion Looking back up the changes my daily teaching underwent in light of the insights outlined above, I see that I’ve (1) started to use task repetition much more, making sure I inform the students of the rationale to persuade them to cooperate; (2) treat pronunciation of formulaic language much more consistently and (I hope) more persuasively, although prominence and appropriate pausing definitely deserve more attention; (3) see the need to increase learner autonomy in working with lexical resources, although I haven’t figured out how to do this in a systematic way (4) see the need to research typical ‘micro-frameworks’ to help learners with micro-planning. In the next couple of posts I’ll write about some other practical activities that target fluency. Levelt, W.J.M (1989) Speaking. Cambridge, MA: Bradford/MIT Press. O’Keeffe, A., McCarthy, M. and Carter, R. (2007) From Corpus to Classroom: Language Use and Language Teaching. Cambridge University Press. Thornbury, S. (2000) Accuracy, fluency and complexity. 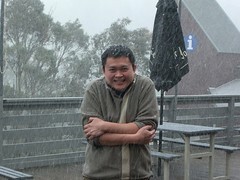 English Teaching professional, 16 (available for download here). When I was administering the end-of-year Speaking test in one of my Upper-Intermediate groups last spring, I was struck with how non-fluent my students were: around half of them were speaking slowly and with frequent pauses, which made a sharp contrast with their overall language proficiency. It was evident that there had been something fundamentally wrong with my teaching – apparently, using lots of authentic listening in class and for homework, as well as providing the group with lots of genuinely communicative speaking activities of all sorts, was not enough to help my students in this respect. 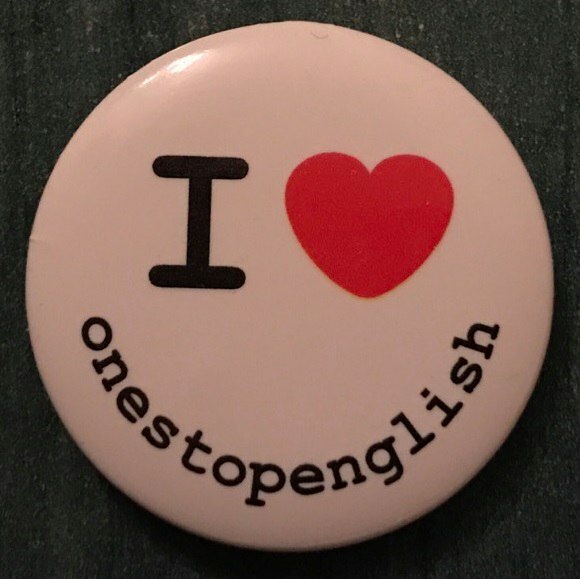 One of the reasons might have been that, as they were living in a monolingual environment and only used English in class, when they engaged in speaking activities my students always felt too safe and took their time to formulate their thoughts, and thus did not progress. So, when it came to doing a Speaking skill assignment on Delta Mod2, fluency was the obvious choice. A week of frantic digging in literature ensued, and I didn’t regret the choice of topic for a second as it turned out to be a fascinating area. I’ve been using the insights from that week’s reading for over seven months now in a variety of ways, ranging from little ‘tweaks’ to full 90-minute activities to, recently, a series of workshops for higher level students, so now I want to re-examine that experience. There’s quite a lot, so I’m splitting this into a series of posts. There are more suggestions for practical activities, with rationale explained, in my Delta Module 2 LSA on spoken fluency.